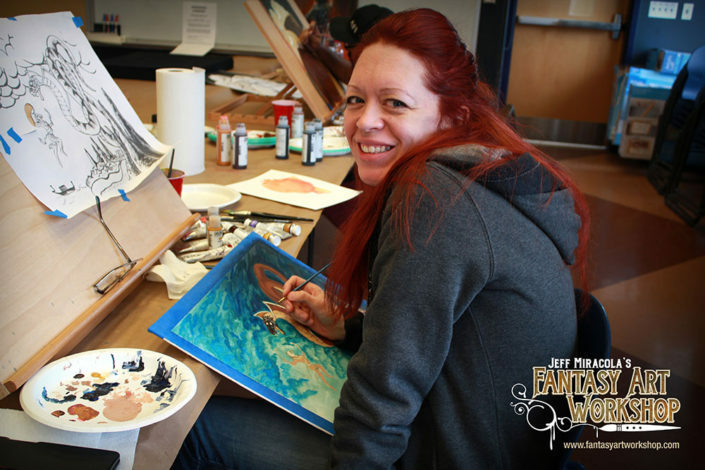 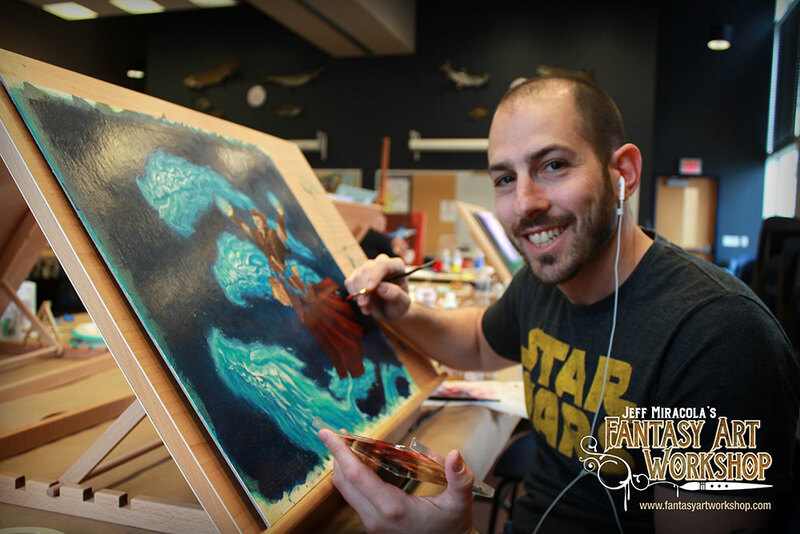 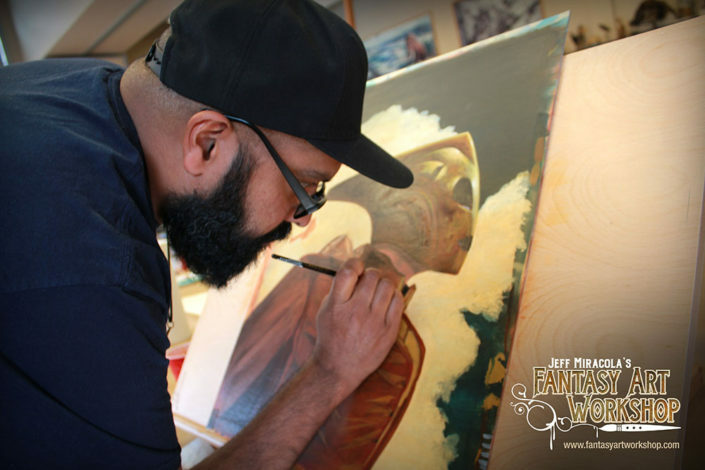 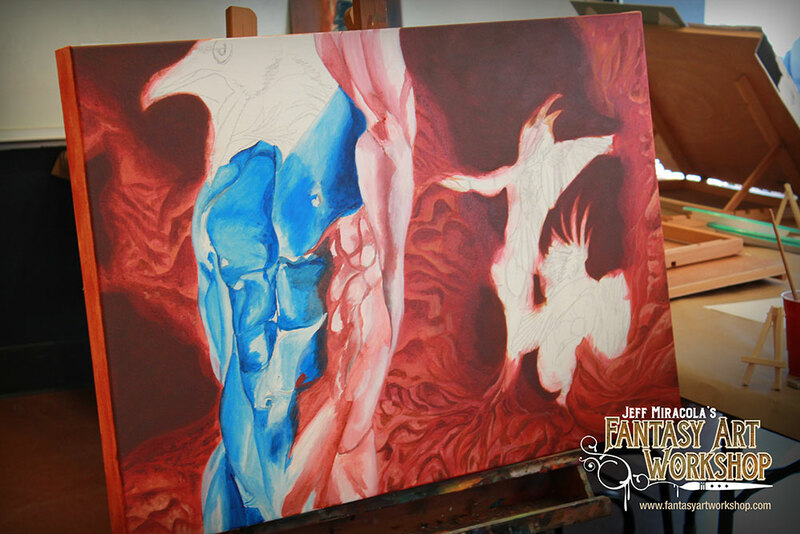 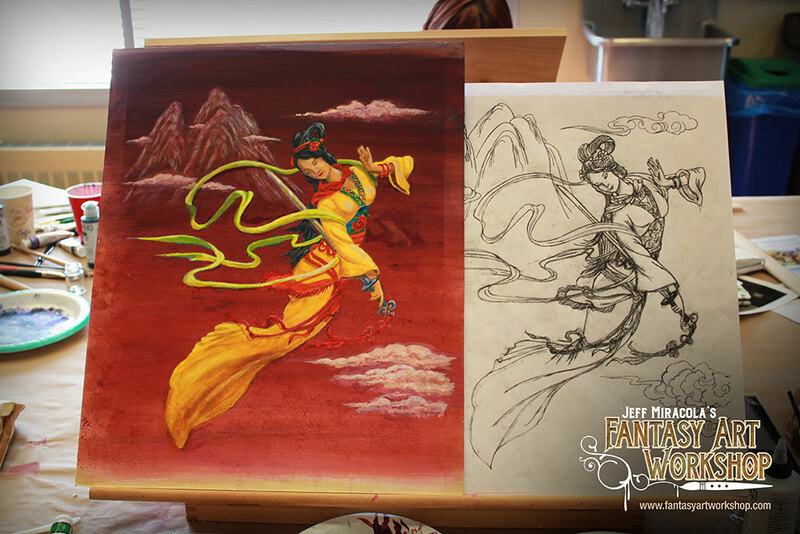 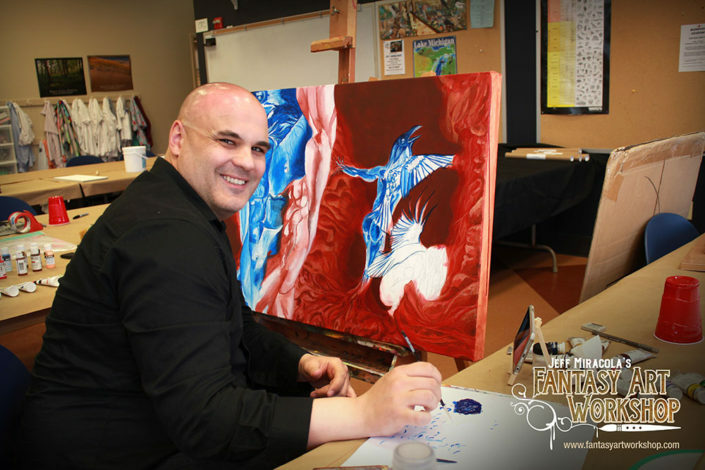 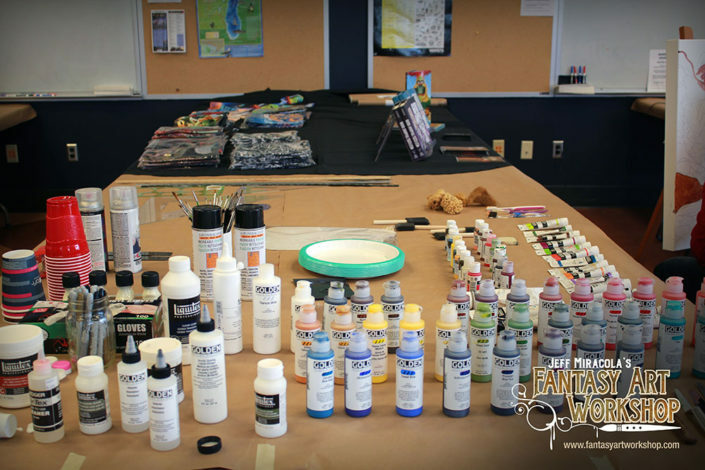 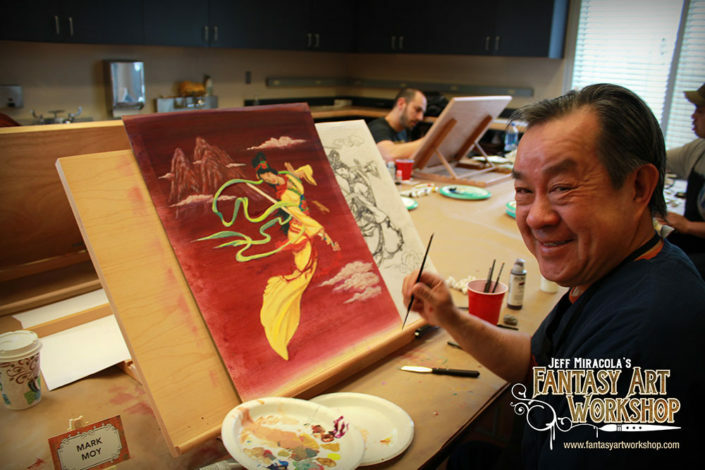 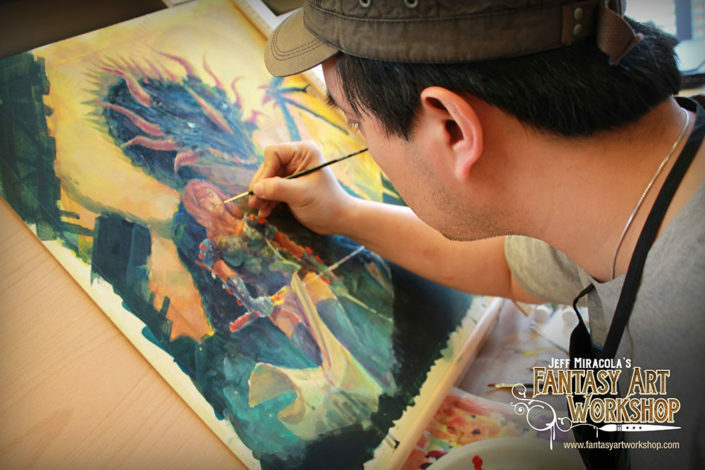 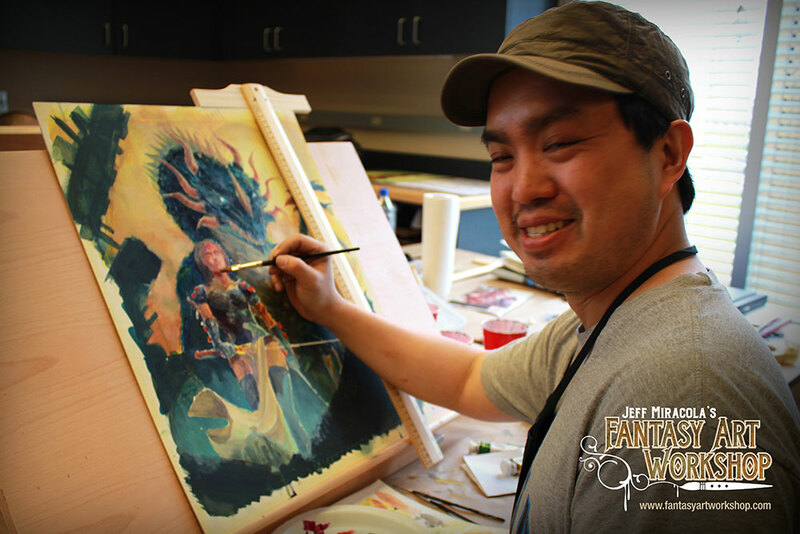 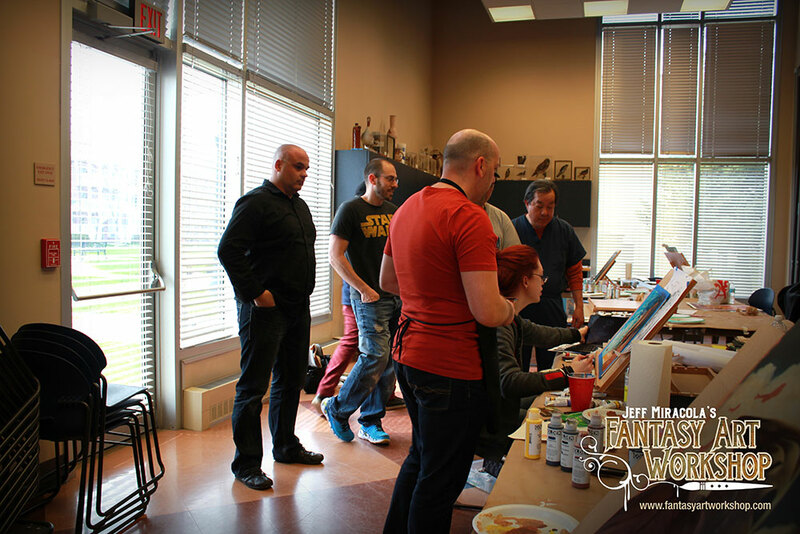 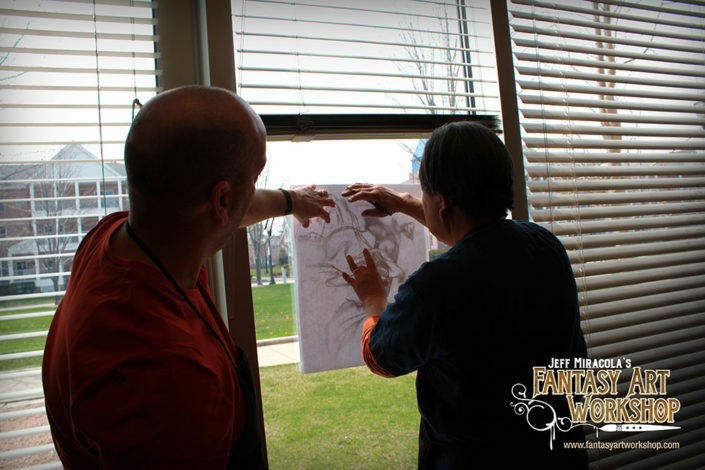 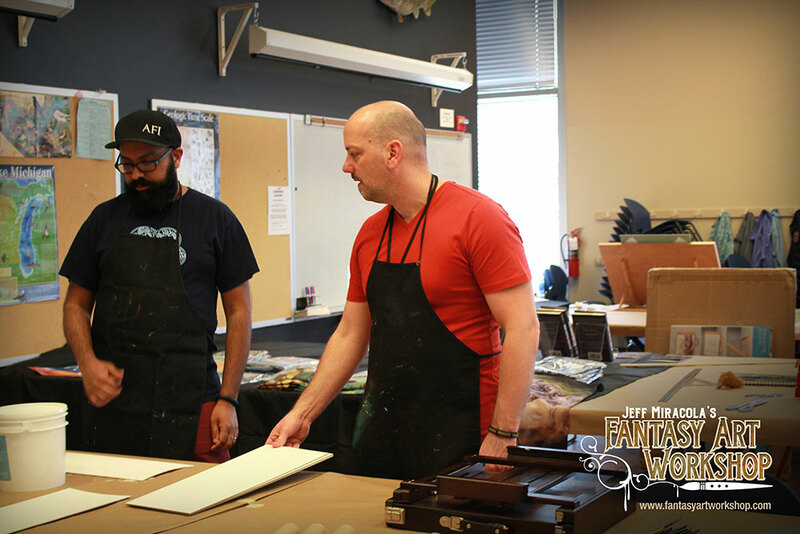 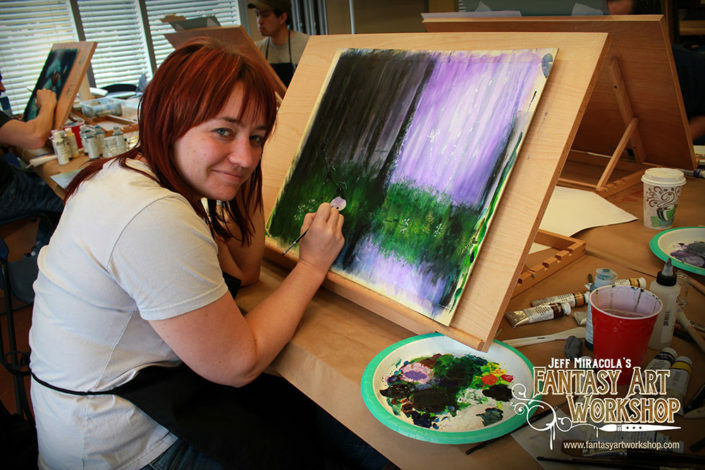 Our very first Fantasy Art Workshop Acrylic Painting Workshop took place April 22-24, 2016 in Kenosha, Wisconsin. 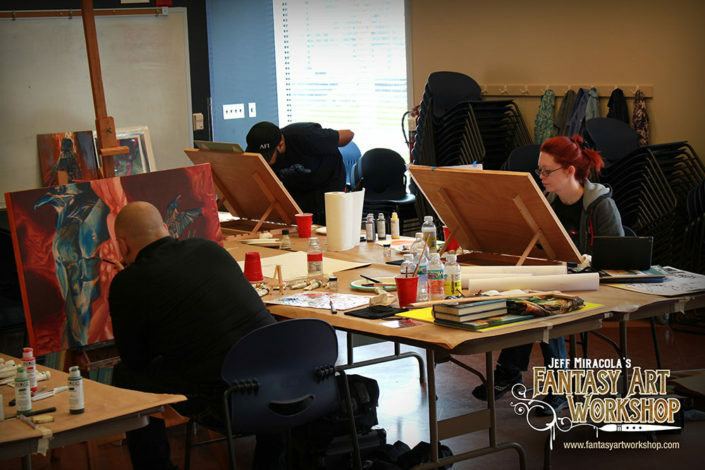 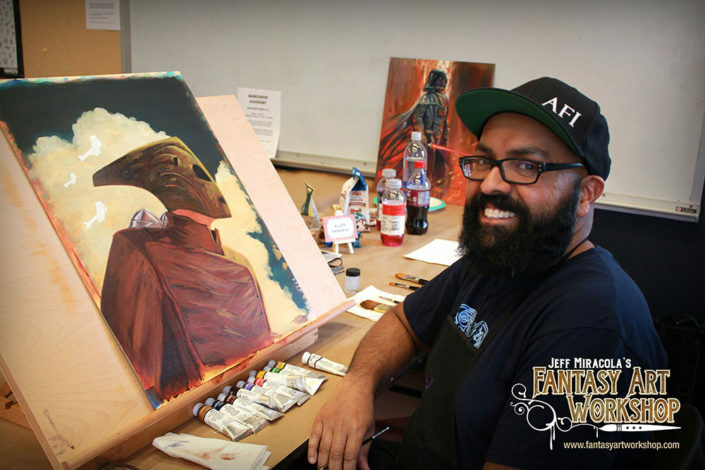 The Workshop included three full days of intense learning with detailed instruction about creating a professional fantasy illustration. 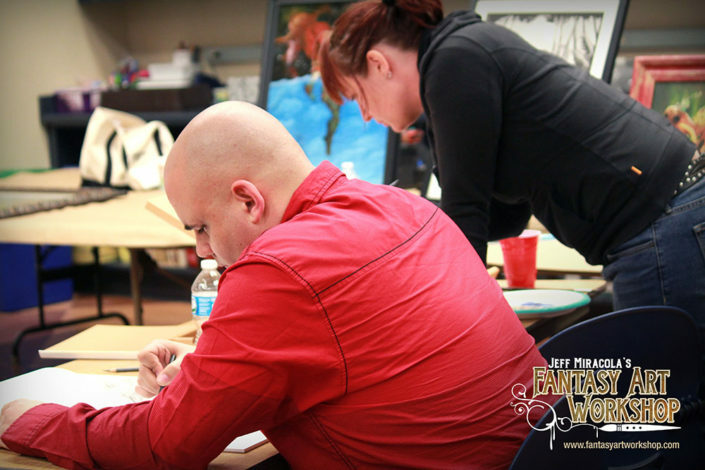 We also enjoyed a late night figure drawing session and a group dinner. 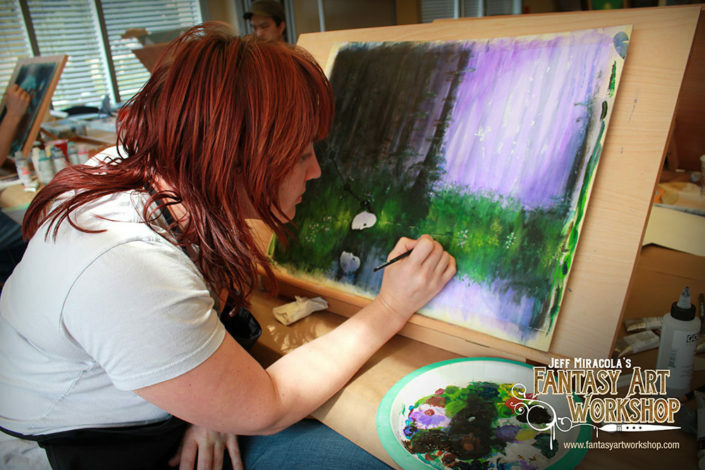 See the below photos of all the attendees working on their various pieces of art. 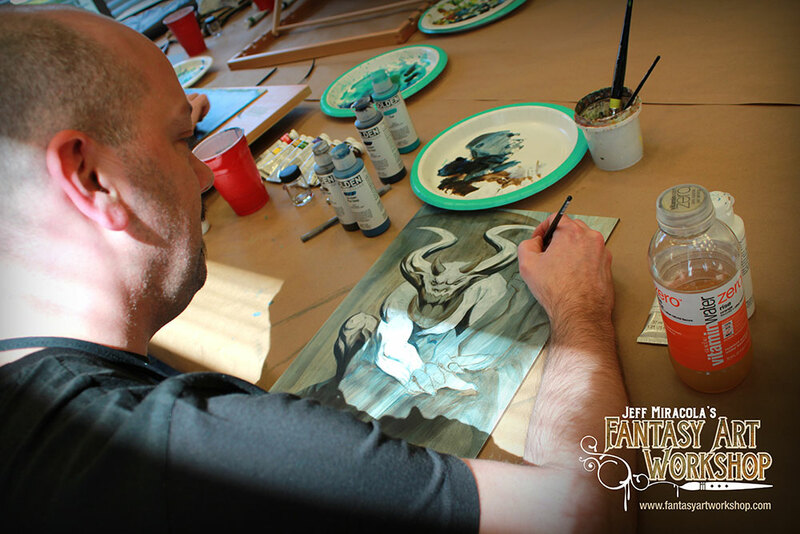 We will have another workshop at some point, but dates have not been determined yet. 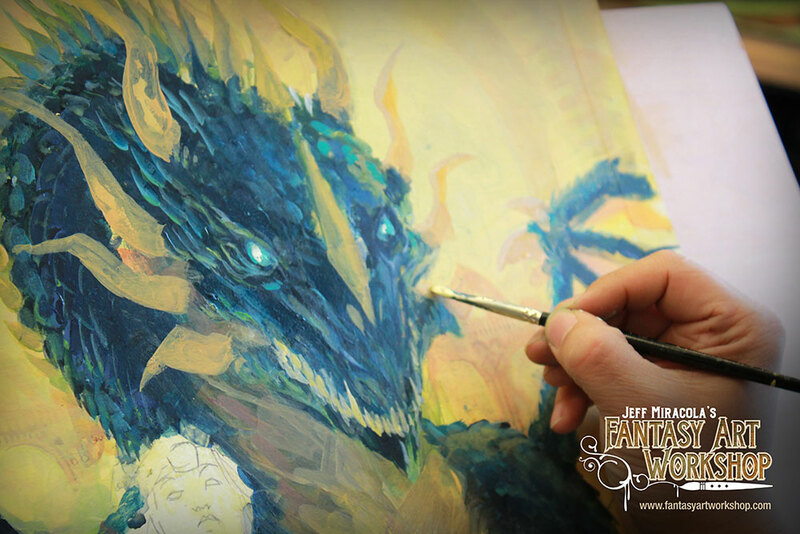 Please join the Fantasy Art Workshop Facebook group to keep up to date on events and to share your art with our community.